I made myself a list of everything from https://framagit.org/hubzilla/addons -- posting it here in case anyone else finds it useful. visage : Who viewed my channel/profile? It's a humorous / sarcastic addon adding inapropriate keywords at random. No idea if it still works. Examples of Hubzilla use cases other than social media? WARNING: Utter #n00bie has questions. 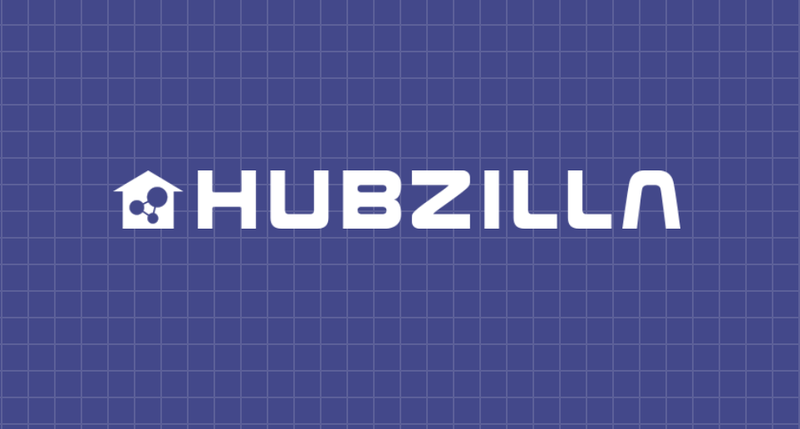 I've seen several people say that Hubzilla is a multipurpose application platform that can support many different use cases, of which social media happens to be the most popular at present. In contrast, Zap and Osada are social media platforms. I've been looking for information or examples regarding those additional use cases, but I can't find much. Waitman Gobble wrote an excellent article a year ago: It's like totally time to build your web site on Hubzilla. That was great, but it does tell me I would never be able to figure out on my own how to build a simple website, since I don't have the coding skills. Can anyone summarize the capabilities of Hubzilla, beyond the social media use case? Or, putting it a different way, what can I do with Hubzilla that I can't do with Zap/Osada? You can sort personal posts by posted or commented date in Zap, but does not seem to work in Hubzilla. Zap also has collections. 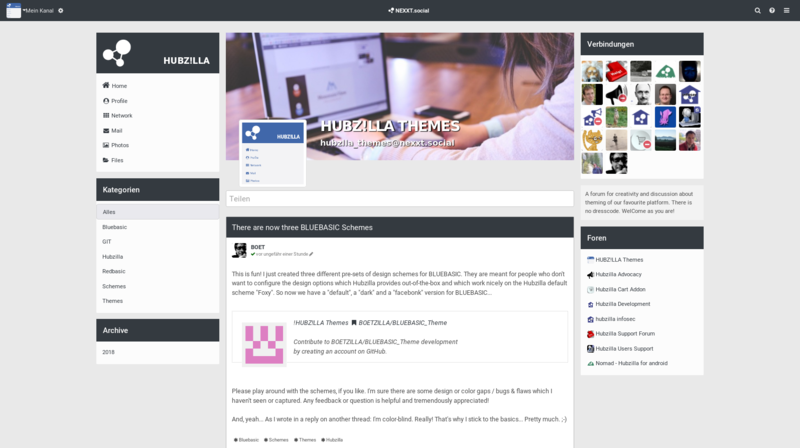 Hubzilla is more of a privacy enhanced CMS, so you can use it to build decentralised yet privacy-enhanced websites and applications - which coincidentally can include social components. The CMS tools are somewhat basic and need a bit more shine to compete with the content building abilities of something like Drupal, but Drupal doesn't have the decentralised access control and decentralised social networking abilities. You can theoretically build shopping sites and dating sites that all have social networking ability and restricted content which transcends website boundaries. (Think special coupons available to loyal customers, without requiring them to ever register on your site and making sure that your shoppe is forced to abide by the privacy restrictions of their account, instead of the current status quo where you give up all your rights whenever you sign up on a new site). We haven't had a lot of demos of this ability and those that have attempted it have often been frustrated by the sad state of the documentation, but the pyramids of Giza didn't just land in the desert. A lot of people spent a lot of time moving rocks into the correct shape. If you're looking for an example, I recently moved my musician friend's website from WordPress to Hubzilla: https://hub.alangraham.de/channel/music. Expect lots of problems creating a website due to missing, incomplete or inconsistent documentation and bias towards somewhat tech-savvy users. what do you mean by subdomain links? Something like a http forward? This is kind of like asking, "what can I do with vanilla WordPress besides blogging." WordPress has grown in popularity through numerous plugins and addons. 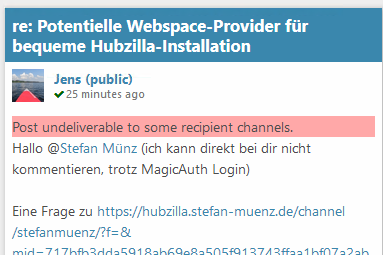 Likewise, additional functionality in Hubzilla is also provided by addons. Many are nascent or unpolished, predominantly because of Hubzilla's reputation as a "social media platform". Kind of a catch 22. The native/core addons (which used to be "features") include the ability to do long form "articles" (blogging), set up one or more WIKIs, along with numerous productivity tools like a privacy and security aware, single-signon file repository. 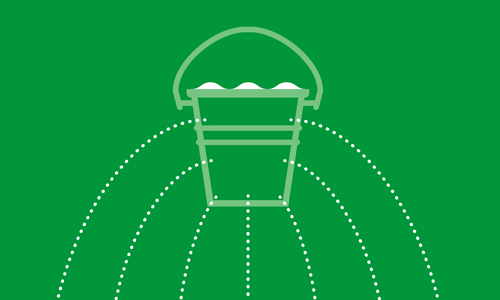 You can even use the shopping cart system to sell access to files - or WIKIs - or blog posts - or even private group conversations or "pay to connect to my channel" systems. Paired with some good content, this would allow someone to bypass Patreon or other sites that take a steep cut and allow content creators to "go direct". Those are just some of the current possibilities I can offer without much thought. Most are possible today. Few are well documented - mostly because very few have chosen to give back to the community and create the documentation. Some have started, but this is definitely a sorely needed thing. I think the coding devs would be willing to offer reviews and suggestions to those who began providing and writing, but it is often a choice between developing useful things (or things they need for their own purposes) and documenting to make it easy peasy for others. Since most of our current devs are better coders than doco writers, and, in my opinion, writing good documentation is a skillset at least as difficult to master as coding - our coding devs tend to stay In their "wheelhouse" and kick out awesome code hoping some doco-devs will pitch in and carry some of the load. BTW - "domain mapping" is on my list of wants as well. Just lacking the time to get to it. It probably will be restricted to websites and maybe WIKIs. There are a few hurdles to overcome in the process. @M. Dent Nextcloud has a "trusted domains" setting, where you can add domains in the config file. That way you can reach your NC installation under, say, nextcloud.yourname.com as well as nextcloud.somefancyname.com, and you can decide which link to give out. Would something like this be possible? @M. Dent I wish I could code better or understood php well enough to get an understanding of the code and help with documentation. What I can do is spread the word about Hubzilla, as I do consider it a great software although I hardly know much about it. Most I use is the WebDav/CalDav/CardDav part, because other than Baikal it gives me an online interface and other than Owncloud/Nextcloud updating is not such a PITA. I have all in one place, and this is wonderful. Wow, what a great collection of responses accumulated here overnight! Thanks, everyone! I'm not sure what I'll try for a first project, but your comments have given me a lot to think about, and a better idea of the range of use cases. @M. Dent i’ve written guides for my users here, mostly introductions to the interface, and wouldn’t mind doing it more formally and for the community at large. a few bits of malfunctioning hardware need fixing before i can do the work in earnest, but in the few weeks between now and then i can figure out an approach. did you install the diaspora app at user-level? yes, I did. "Diaspora Protocol" is shown in the installed apps. scrolling down the timeline I can find some posts from connected Pluspora users but most are missing. ok, I answered from my hub and that also did not make it here. I think it is something with the queueing on my server. How can I check that? oh, there they are ... It took about an hour to get the answer here and I am still waiting for an answer to one of my posts a pluspora postet about a day ago. in the /admin pages you can check the 'queueing' and in case change some parameters to improve the queues, but currently I do not have access to those pages and therefore I can not help much. cron is working, I can see runs in the debug log. tried other queue limits now, lets see what happens. Ok, queue is empty now but still the connection to/from pluspora seems to be broken as I do not have anything in my timeline from connected users, even if they mention me personally in the post. I do see some pluspora users comments in other posts. in this case I think only the logs can help you, along with some advice from experienced administrators. They may have blocked you. Also check the connection settings: /connections > Edit > Individual Permissions > Can send me their channel stream and posts > Checked. Also check /admin/security/ > Allow communications only from these sites > Block communications from these sites > Allow communications only from these channels > Block communications from these channels. And all the settings and webfinger seems to be fine. Using my very old joindiaspora account now. 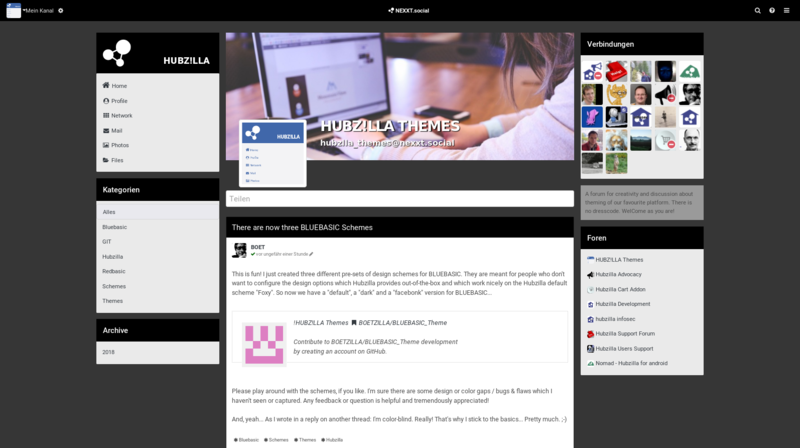 !HUBZ!LLA Themes - This is fun! I just created three different pre-sets of design schemes for BLUEBASIC. They are meant for people who don't want to configure the design options which Hubzilla provides out-of-the-box and which work nicely on the Hubzilla default scheme "Foxy". So now we have a "default", a "dark" and a "facebonk" version for BLUEBASIC. 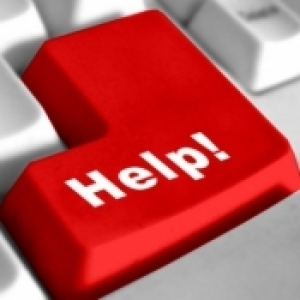 Contribute to BOETZILLA/BLUEBASIC_Theme development by creating an account on GitHub. GitHub is home to over 28 million developers working together to host and review code, manage projects, and build software together. Please play around with the them and the 3 schemes, if you like. I'm sure there are some design or color gaps / bugs & flaws which I haven't seen or captured. Any feedback or question is helpful and tremendously appreciated! And, as I wrote in a reply on another thread: I'm color-blind. Really! That's why I stick to the basics. Pretty much. I haven't (yet) implemented it on Hubzilla, but expect I will have a need. From a quick glance, it appears it will require compiling nginx with the form input module - which is already included in the OpenResty package.